You can access the commands using either "/coreprotect", "/core", or "/co". Detailed command information is listed below. Display a list of commands in-game. Enable the inspector. Type the command again to disable it. You can also use just "/co i". Nearly all of the parameters are optional. Shortcut: "/co rb". u:<user> - Specify a user to rollback. You can specify weeks,days,hours,minutes, and seconds. You can pick and choose time amounts. r:<radius> - Specify a radius. You can use this to only rollback blocks near you. b:<blocks> - Restrict the rollback to certain block types. e:<exclude> - Exclude certain block types from the rollback. #<hashtag> - Add a hashtag to the end of your command to perform additional actions. Same parameters as /rollback. Shortcut: "/co rs". Restoring can be used to undo rollbacks. Search through block data using the same parameters as /co rollback. Shortcut: "/co l". If multiple pages are returned, use the command "/co lookup <page>" to switch pages. To change the number of lines displayed on a page, use the command "/co lookup <page>:<lines>". For example, "/co l 1:10" will return 10 lines of data, starting at the first page. Purge old block data. Useful for freeing up space on your HDD if you don't need the older data. For example, "/co purge t:30d" will delete all data older than one month, and only keep the last 30 days of data. If used in-game, only data older than 30 days can be purged. If used from the console, only data older than 24 hours can be purged. In CoreProtect v2.15+, adding "#optimize" to the end of the command (e.g. "/co purge t:30d #optimize") will also optimize your tables and reclaim disk space. This option is only available when using MySQL, as SQLite purges do this by default. Please note adding the #optimize option will significantly slow down your purge, and is generally unnecessary. >>By default, if no radius is specified, a radius of 10 will be applied, restricting the rollback to within 10 blocks of you. Use "r:#global" to do a global rollback. >>Lookup commands are generally the same as rollback commands. The primary difference is that a default radius is not applied to lookups, meaning all lookup commands do a global search by default. I was waiting for Big Brother to come out but, i think this is better! we can rollback other users o.O? What an amazingly simple and efficient plugin! Now I don't have to worry about rolling back the entire server and losing work. Thank you so much!! When I did a rollback just now, a sign returned to where it was placed, except the writing was not rolled back also. Do signs' text normally get replaced or are they always blank when rolled back? I was very happy to find this plugin, it's simple and it works. 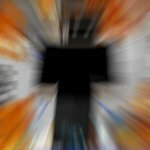 But, is there any way to rollback tnt explosions because it doesn't work for me.